To successfully connect your WooCommerce store to Easyship, please follow all the steps below. Make sure that the Permalink Settings are not Plain, if plain is enabled it will cause errors when syncing to Easyship. Feel free to choose any of the other options. This is found under Settings > Permalinks as can be seen below. 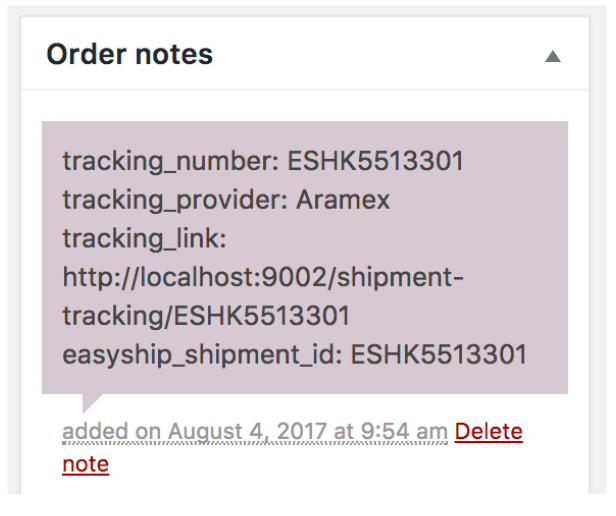 Easyship will not sync Existing orders when you create your store. Easyship will not sync any orders that are from excluded countries in your Easyship settings. Easyship will only sync orders that are in the status "PROCESSING". When an order is fulfilled, the tracking# will be added as a note in Woocommerce. 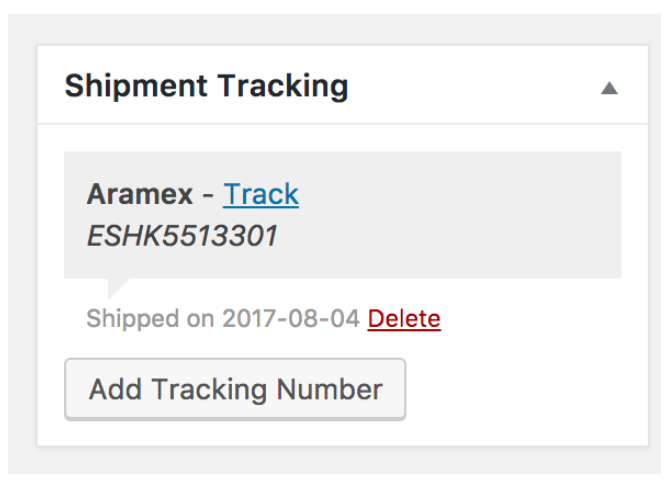 There is a plugin that can be installed; https://docs.woocommerce.com/document/shipment-tracking/ which will update your orders with the information as per below. If no rates are being shown, its very likely you have no Shipping Zones selected. Make sure that Easyship is added! Always make sure that the Base Location is the same location as your Easyship account is setup to. If you are shipping from Hong Kong, it needs to be set to Hong Kong, as shown below. If experiencing trouble syncing your orders, we recommend that you try to remove the added store inside Easyship and re-installing the plugin. If this does not work, kindly try to disable any other 3rd party plugins before reinstalling Easyship. 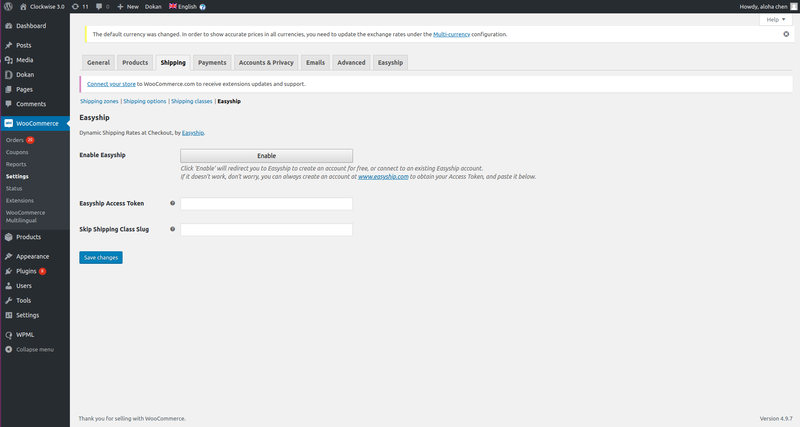 In some cases, other plugins may interfere with Easyships settings, causing no shipping solutions to be shown during Checkout. The setting "Hide the mapped shipping methods from non-wholesale customers" must be deactivated, otherwise you may hide shipping solutions provided from Easyship during checkout. WooCommerce is Open-Source and has several hundreds of plugins, please ensure compatibility by enabling them one after one after having installed Easyship as your first plugin. This will make it easier for you to find out if any of them are causing issues with Easyships Plugin.